Begin by taking the first step. 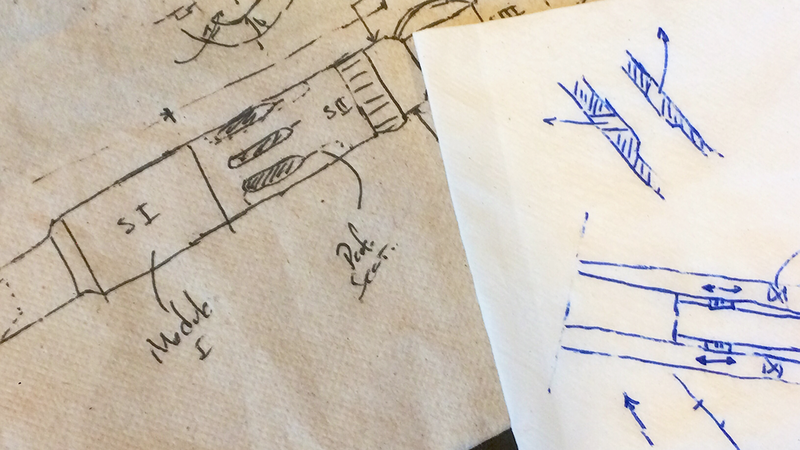 Rough sketches, block diagrams, or general descriptions are all that is needed to get a new product started. We can create conceptual models based on your descriptions and perform top level feasibility studies to make sure everything is on the right track from the beginning. Create a detailed virtual version of your product through CAD modelling. We can go in as much detail as needed to explore the different facets and features of your product. Starting from parts and leveling up through sub-assemblies and full system integration, this tool allows you to define your project. Through photo-realistic rendering, great illustrations of your product can be produced. Use this for highlighting important features, creating marketing materials, or for stunning presentations. Using good-old hand calculations and computational analysis tools, we can validate your design and obtain a better idea of the performance of your product in real-life applications. 3D printing keeps getting better and more affordable. We can support your projects by producing 3D printed prototypes for a faster iterative design process which reduces time and expense. Once the design is refined, or if 3D printed is not needed for your project, detailed manufacturing prints and bills of materials are generated. Great relationships with reputable local manufacturing shops, heat-treating companies, plating and coating businesses, and specialized suppliers, minimize potential for errors and delays.